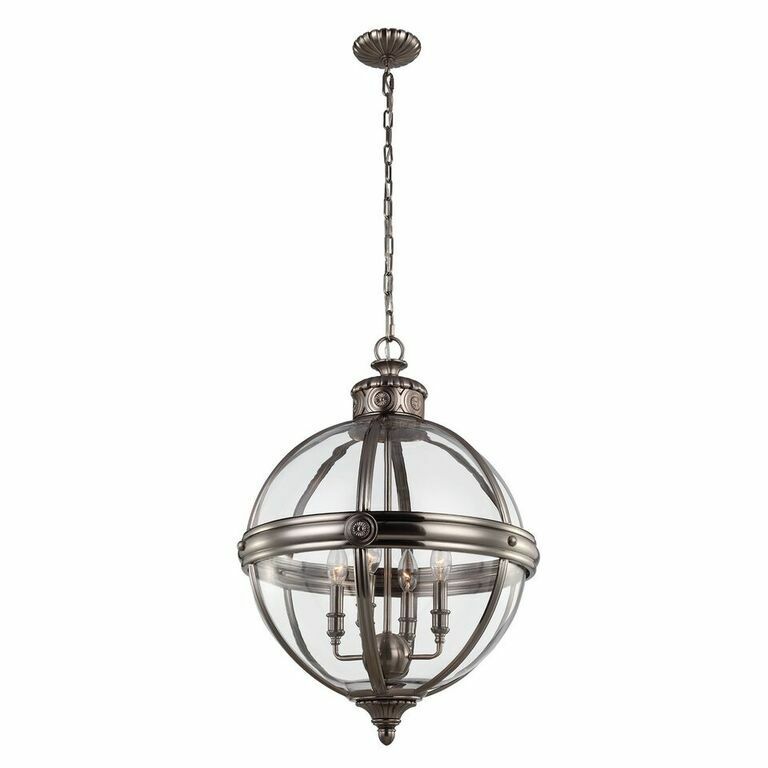 The Elstead Lighting Adams Large Interior Lantern Is Inspired By The Victorian Age.The Adams 4 Light Ceiling Pendant From Feiss Lighting Features A Classic Glass Orb With Vintage Cast Rosette Details. Both The Crown And The Ceiling Canopy Of The Adams 4 Light Interior Ceiling Lantern Pendant Are Surrounded By A Decorative Metal Casing To Achieve Superior Detailing With The Same Rosette Detail Featured On The Centre Strap. The Elstead Adams 4 Light Pendant Chandelier By Feiss Lighting Is In An Antique Nickel Finish.